In the height of the senate scandal last fall, the embattled Prime Minister asked the Supreme Court for a recommendation into reforming or abolishing the senate. Despite the recent decision by the RCMP to drop the criminal investigation on his former Chief of Staff, Nigel Wright, Canadians still deserve answers relating to what exactly happened when Wright gave former Conservative Senator Mike Duffy (appointed by Harper in 2008) a $90,000 cheque to clear his abusive housing allowance claims. Furthermore, Harper’s contradictions and reluctance to answer questions about what he knew of his right-hand man’s dealings and attempts to cover up the situation, including the possibility of deleted emails remains a record detailing his judgement. The timing of this action couldn’t have been more telling. Harper responded by slamming the door on senate reform, saying it is impossible – at least for the time being. In January, Trudeau stunned his former senate caucus and pundits alike with the first measure as part of his alternative plan to remove partisanship from the Upper Chamber, deleting the Liberal brand from the senate and leaving the Conservatives as the last remaining party. 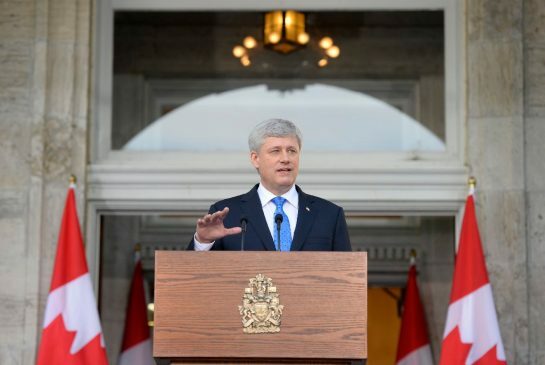 Liberal MP Stéphane Dion said in the Commons foyer that it’s time for Harper to follow suit. 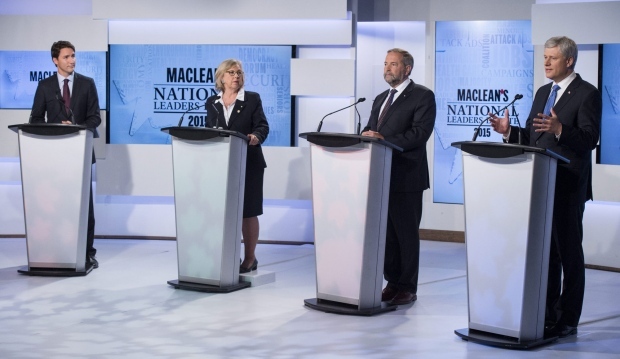 The NDP remain ambitious and leader Thomas Mulcair vows to continue the fight to roll up the red carpet. “Contrary to Mr. Harper, I’ve never stopped trying,” Mulcair said. Getting unanimous support for abolition will be an uphill battle, especially in Quebec where the NDP gained the majority of its seats in the last election. The only real upside for Mulcair is if he does win the election next year, his former political ally Philippe Couillard is heading a majority Liberal government in Quebec that should be solid until 2018 – the separatist threat is off the table. It is interesting to see how easily Harper abandoned his plans to reform the senate. However, given such inaction for the past 8 years this really isn’t a surprise. 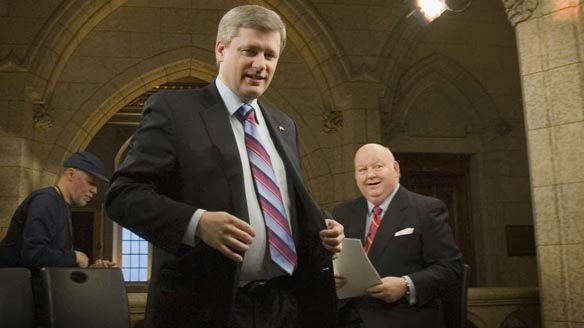 In rough political circumstances, it’s better to align yourself with the anger and as outraged as Canadians were that Harper’s inner circle may have had a part in the Duffy affair, they were even more outraged that the current system allowed it to happen. The reality is, if Harper was really serious about an elected senate, he wouldn’t have waited until a senate scandal to get a recommendation from the Supreme Court. So how serious was Harper about senate reform? Today he sits as the “status-quo” guy – and still underplaying the unethical, if not outright illegal activity that his former Chief of Staff embarked in. The senate as an institution is not perfect but its ability to function depends on its input. Adding cronies and political hacks to the chamber for second thought undoubtedly turns the Upper Chamber into a partisan war-zone and haven for ridiculous entitlement. When a government focuses more on its political agenda rather than the will of the citizens and institutions it represents, we get crisis and unnecessary chaos. 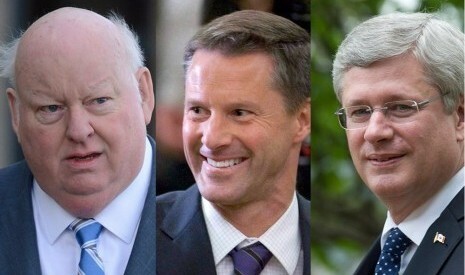 Harper appointed Nigel Wright as his Chief of Staff and Mike Duffy, a Conservative fundraiser and former journalist, as his Senator – again, showing his judgement. Funny enough, despite all the senate appointments Harper made, didn’t he once have disdain for appointing unelected senators? In summary, the Liberal leader that was framed as bring pro-status quo is now the only person with a realistic plan for the senate. The Conservatives are now sitting on their hands. The NDP, while ambitious, are standing for the least likely of outcomes with possibly the most reckless and destructive of tools at their disposal – opening Pandora’s box. As far as Senate Reform is concerned, don’t expect any major changes for at least a little while. Do you think Harper really intended to reform the senate?